Catalina Cadavid is an associate at Pechman Law Group PLLC, where she assists in the representation of both employers and employees in various aspects of workplace law. 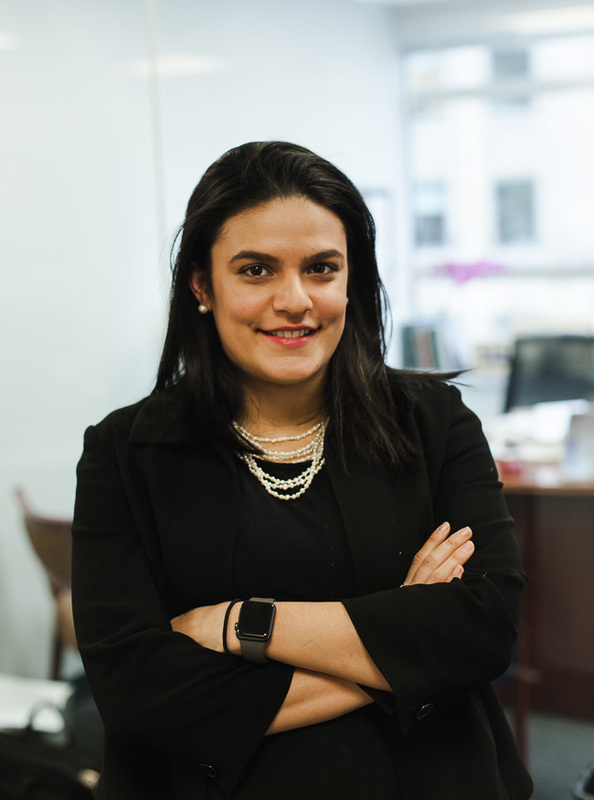 Ms. Cadavid represents clients in litigation and negotiation of claims for unpaid minimum and overtime wages, retaliation, discrimination, and wage theft before state and federal courts in New York, New Jersey, and Connecticut. Ms. Cadavid graduated from Fordham University School of Law in 2016. During law school, Ms. Cadavid interned at DC 37’s Municipal Employee Legal Services and was an associate editor on Fordham’s Intellectual Property, Media, and Entertainment Law Journal. Before law school, she was a litigation paralegal at Cleary Gottlieb Steen and Hamilton LLP, where she regularly interpreted for Spanish-speaking clients. DISCLAIMER: The use of the Internet or this form for communication with the firm or any individual member of the firm does not establish an attorney-client relationship. Confidential or time-sensitive information should not be sent through this form. Please verify that you have read the disclaimer.